A study has suggested that outdoor learning has the capability to provide children with a positive impact on their development if approached in a formal role. The research highlighted the fact that here in the UK, childhoods are changing significantly and that the opportunities to spend time outdoors is reducing. The experts behind the research warned that this loss of exposure to the natural environment would present a certain negative in terms of long-term consequences. The study put forward the notion that by establishing an “outdoor learning hub” teachers would be provided with the kind of assistance that is required to give pupils the experiences they needed as teachers look to shape policies and strategy. What risks does a lack of outdoor learning present? The report pointed back to previous studies which highlighted that more hectic family lives, among other factors in society, meant children were having lesser opportunities to explore their surrounding natural environment than generations before them. The results of the study mean that social skills, as well as long-term physical & emotional development and wellbeing were all being jeopardised. Due to these findings, it’s vital that schools don’t bypass or overlook the critical opportunities that outdoor learning is able to offer, which would allow for children to expand their social skills and develop their overall wellbeing too. Sue Waite, co-author and a reader in outdoor learning at Plymouth University, said: “At the moment, if outdoor learning is part of a school’s curriculum in England, it is largely because the teachers recognise the value of it. The report had a host of recommendations to help those looking to adopt them, including the establishment of a “strategic policy/research hub” to “collate existing research, prioritise future research needs and help improve the alignment between research and policy”. Additionally, the study put forward a “Framework for 21st Century Student Outcomes” which would be able to deliver itself through regular lessons in natural environments. “We need to be a little bit clearer about what forms of outdoor learning meet what purposes and aims (of curricula),” Ms Waite told BBC News. “So rather than just being outdoors magically making things happen, activities such as residential outdoor experiences would be particularly effective for developing social skills and leadership,” she said. “Whereas field studies would be particularly effective for greater awareness of the environment. The co-author stated she was aware that from the findings it was evident that schools were under pressure to deliver results. Furthermore, there was evidence to cite the growing limitations on time, as well as restrictions on finance and other resources. A suggestion from researchers was to link outdoor activities to learning outcomes which would allow it to become part of a curriculum, opening up a window of opportunity that would see “no need to find extra time” for outdoor learning. 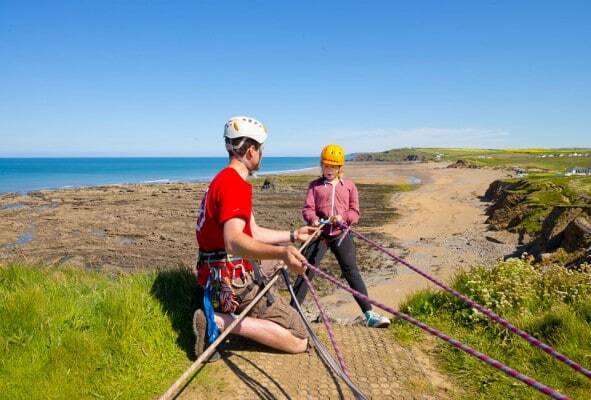 If you are looking to book residential school trips, then why not take a look at the fantastic, inclusive activity packages we offer here at Outdoor Adventure?